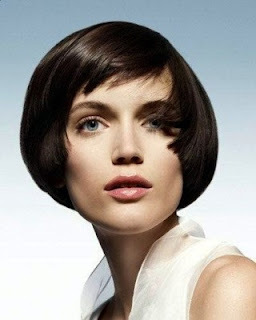 From upstyles to bob haircuts, curly hair, straight hair the new shape is around, and whether the hair is cut with rounder layers or round details placed on a fringe (bangs) to a fuller rounder blow dry shape, the look is beautiful. 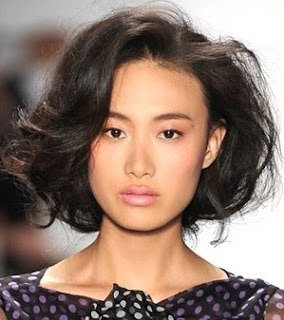 So instead of the square layering that we have seen on hair for some time now, it's a great moment in time for those who could wear and have a rounder shape, I say go for it and add a little curve into your hair. your spot on ,, the arounder shape is hot! these shapes are so much fun to cut, i love them!!!! 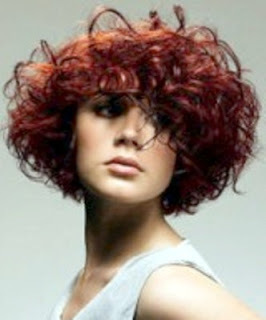 the round red curly hair is gorgeous! a very beautiful shape and classic really! I noticed that styling and cutting is rounder in shape for the season! It's softer and more flattering! Great Visuals!